Glad to have your visit in KAWADA AUTO Website. We, Kawada Auto, think that all the people to live in peace in the car and you think car life is fun. If you come to Japan soon worried that a loss of a car, or work in Japanese right now and can not explain the circumstances of the car accident, or not know of a car repair shop, you do not need to please consult hesitated. Automotive repair, inspection, painted sheet metal, dent scratches, and negotiating the sale of the car, change the name of car owner, scrapped, loan procedures, such as automobile insurance in the car, whatever, please feel free to consult. We also are able to manage for exporting auto to abroad. If you are looking for Japanese used cars exporter, please contact us. One of the companions of us is taking charge of this WEB page management. This person stayed in the United States for eight years, and she understands living in the foreign country's difficulties. She can interpret to Companions of us who work with the repair plant with you. Please fill out this form and send it back to us. We'll offer you the best services accordingly. Input information is not transmitted until [Transmission] button is pushed by [Confirmation page]. Individual information filled in on this inquiry form is used to answer the inquiry. Moreover, it never offers it to the third party without the person in question's approval. Please confirm [Protection of individual information policy] in this site for the handling of other individual information. A part of our answer to the inquiry gotten from everybody is published. ＦＡＱ！It introduces our response to FAQ. When you neglect the oil change. Is the heater safe of you? UV resistance. Will you paste the Carfilm? The water spot of the glass is deleted. Will you receive a safe check before it goes somewhere? The rental of the car navigation system. Our four original car inspection courses. How at a new business and establishment? It doesn't engine starts. The clutch slips. Oil leak. Water leak. Overheating. The engine doesn't move. The car doesn't advance to previous. It was soaked to water due to damage by a flood. It played a trick by an aim on the car. The glass cracked. The glass doesn't go up. The key was lost. Working of the brake is bad. Working of the air conditioner is bad. The allophone does from doing of the allophone from the engine and the brake. Nabis audio doesn't operate. It had tire punctured. The car is thrown and it doesn't move. Parts ..straight.. seem have not been understood when removing. It runs at once when it is a car and it embarrasses it. A car navigation system rental, used car rental, and used car search service and easy graphics are done for the Japanese whole country. 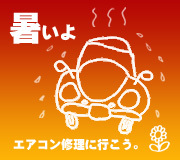 ･Please refer to a car inspection price list here for the car inspection. ･Please refer to a maintenance price list here for the charge of the repair, the breakdown, substitution, and the exchange. ･Please crowd and refer to a sheet metal painting price list here to Kiz for the charge of the sheet metal painting. 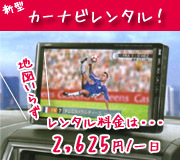 ･Please refer to the check price list for the check before a long distance here. Copyright 1999-2017 Group Kawada All rights reserved. Kawada Auto in case of the car. Please feel free to inquire of the consultation of service.